Aloha Friday: Apples, Apples Everywhere! As B wrote earlier this week, we went apple picking Sunday morning and picked 35 pounds of apples. I plan on making some into apple sauce using our slow cooker, but that will only use 3 to 6 pounds of apples. Eating apples will use up another few pounds. That still leaves us with many, many, *MANY* pounds of apples left. Therefore, my Aloha Friday question is: What would you do with that many apples? Do you have any favorite recipes? Feel free to post them (or links to them). If I make and post a "Cooking With TechyDad" using one of the posted recipes, I’ll link to your site. I’ll start things out with a recipe that I’m planning on using. Every time I make apple sauce, I’m left with a big pile of apple peels. Ideally, I’d compost them, but that’s not a project we’ve felt up to tackling. I hate throwing them out, but I had nothing else to do with them so out they usually went. Instead of tossing them this time, though, I’m going to make crispy apple skins. Apple crisp, apple cobbler, apple butter, candied apples…. .-= Jennifer´s last blog ..Chocolate A Love Story: A Book Review =-. Definitely Apple Butter. I love it so much, and it is so healthy as a spread for toast and bagels and whatever else. Plus it is easy to make. Just peel, core and slice the apples. Throw them in a pot with a little water and simmer until they are mushy and there is only a little bit of thick liquid left. Then just pulverize it with a blender, food processor, or something similar. .-= Angela´s last blog ..Road Trip 2009! =-. What about apple pie filling? Or just plain canned apples that can be used in recipes later. There’s also dried apples which are yummy. I’d make the best pie in the world, Dutch Apple Cream Pie – yum, yum, YUM! Spread the love be jarring apple butter. .-= Harriet´s last blog ..Thank goodness for Freinds! =-. When we went apply picking, I made an apple pie, apple cake, and we ate the rest. .-= Laufa´s last blog ..AF: Here Kitty, Kitty! =-. .-= Ave @ Made In Canarias´s last blog ..Aloha Friday #16 =-. We ate all of our apples and had a lot of them. My kids will eat 4 a day if I let them. I do love making this dip for them when I have company. Combine all ingredients and refrigerate. Serve with Apple Slices. 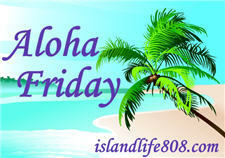 .-= Melanie @ Whimsical Creations´s last blog ..Aloha Friday #2 =-. We had a tonne of apples left over from APPLE DAY. I made a huge apple crisp for Beaver camp. I love apple season. 15 Great looking recipes from epicurious – http://bit.ly/28nTzr plus some tips for storing. My parents used to can a lot of applesauce each fall. We had a regular and a cinnamon recipe that we then enjoyed all year long. Also, we have dehydrated apples for canoe trips. They are great to just chew on or rehydrate to make other recipes. Applesauce is a family favorite and we go through it like crazy too! .-= blueviolet´s last blog ..Aloha Friday – Artsy Fartsy =-. You could bake and sell or give pies to shelters or and elderly home or the library. .-= JamericanSpice´s last blog ..Aloha Friday: Getting my washboard back =-. I don’t know! Iv’e never had that many apples at one time! !Maybe some candied apples? I would freeze some for apple pies and make apple butter and applesauce.